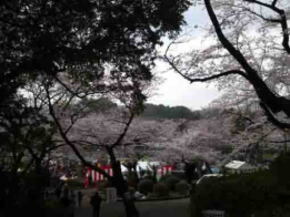 Satomi Park is a famous spot of viewing cherry blossoms on the hill facing to Edogawa River called Konodai in the westen tip of Ichikawa City, poeple visit the park to enjoy their relaxation. 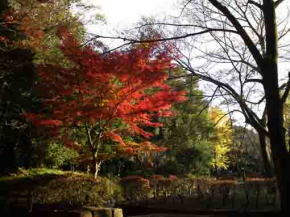 Satomi Park is the noted spot of viewing cherry blossoms, the rose garden in it is beautiful and colored leaves in fall is excitingly great. In addition, visitors enjoy seeing several tiny seasonal flowers planted in park. 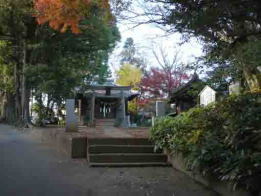 Near Satomi Park, there was the provincial office of Shimousa province in classic ages. 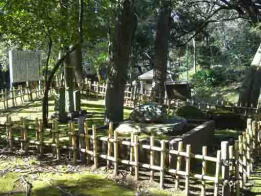 In Sengoku Period, Dokan Ota built Konodaijo Castle in the land where Satomi Park is now on, so there are the remains of earthworks in the park. 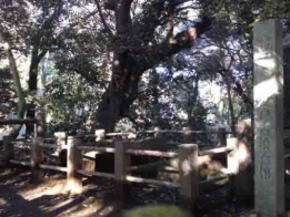 And the stone coffin of Akedo Ancient Mound, Rakan no I Well found by Kobodaishi Kukai, the stone monument for samurais belonging to Satomi Clan fought at the battle of Konodai and Hakushu Kitahara's House called Shiensosha are in the park. 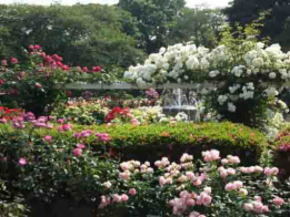 Moreover, the park commands fine view of Tokyo, especially visitors could see Mt. Fuji in fine day. 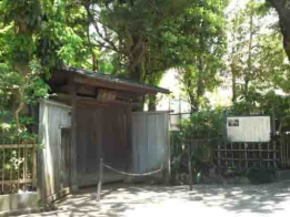 In addition, a tea ceramony room managed by Shikitei Oribe School, Soneiji Temple having some legends of Dokan Ota and Ogasawara Family and Konodai Tenmangu Shrine telling us local history and culture of Konodai areas are next to the park. 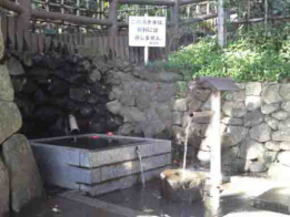 If visitors walk for several minutes, they could find Junsaiike Pond Park, Konodai Green Zone, Ekoin Branch Temple in Ichikawa, Mama no Tekona, Mama no Tsugihashi Bridge and Mamasan Guhoji Temple. 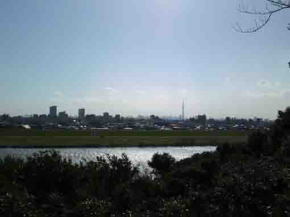 Of course, there are many noted scenic spots along Edogawa River. 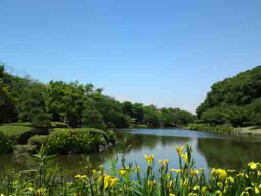 Visitors could find and feel not only the history and culture of Katsushika in Shimousa, but also the nature when you walk in and around Satomi Park. 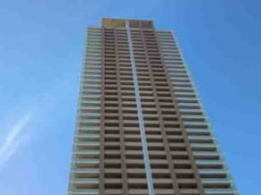 Visitors find nature, history and culture in this area. Visotors enjoy seeing beautiful cherry blossoms, roses and colored leaves. 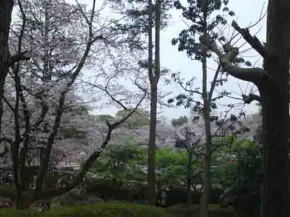 They are intorduced in Edo Meisho Zue in Edo period. 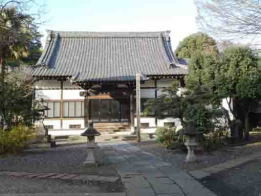 It was treated as a high ranked temple as same as Upper Class Daimyos by Edo Bakufu. 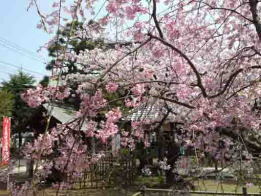 It is famous for a traditional event called 'Tsujikiri'. 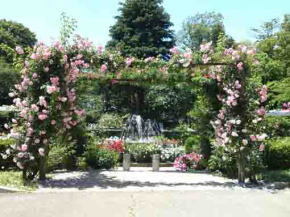 Many flowers bloom and many birds come this water park . There are many exciting noted spots along this river, Yoko no Matsu in Zenyoji, Koiwa Iris Garden, Yagiri no Watashi Ferry, Shinozaki Ponyland and so on are very wonderful..
Tekona, the subject of many poems in the Anthology of a Myriad Leaves, Mamasan temple connects with Gyoki, Kobo and Issa Kobayashi. 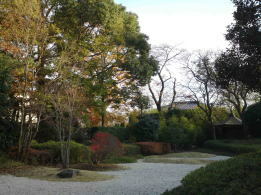 It is good place to walk along. 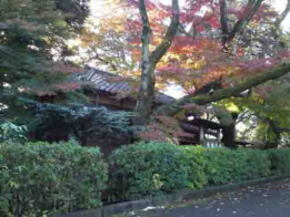 Genkoji Temple, a branch temple of Ryogoku Ekoin has a beautiful garden and CafeTerrace Ekoin. 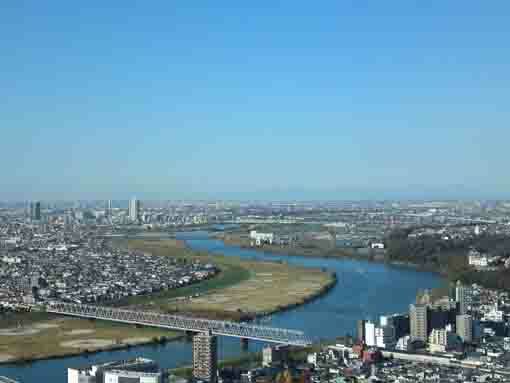 It commands a panoramic view of Mt.Fuji behind Tokyo.